Have you ever been part of a group that seemed to be moving along great but then realized that not everyone was on the same page? I certainly have. Situations like this occur in many groups, it’s a natural part of our group development. Though to be expected, if left unaddressed, these situations may escalate into tension or conflict that can affect our group’s success. In my role as a teacher, there are times in the year when my students do not meet our classroom expectations or the standards of our school. During these times when I am managing behavioral, academic, or social issues, I sometimes feel like we are sliding backwards. 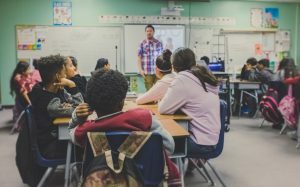 It can become difficult to focus on creating meaningful lessons and learning outcomes when we are constantly dealing with classroom management. That being said, I work with middle school students, and I know that many behaviors take more time to develop and practice. In Bruce Tuckman’s Group Development Model, the first two stages of group development are Forming and Storming. During the Forming, the group members learn about each other and the goals they want to achieve. In a classroom, this stage happens at the beginning of the school year. 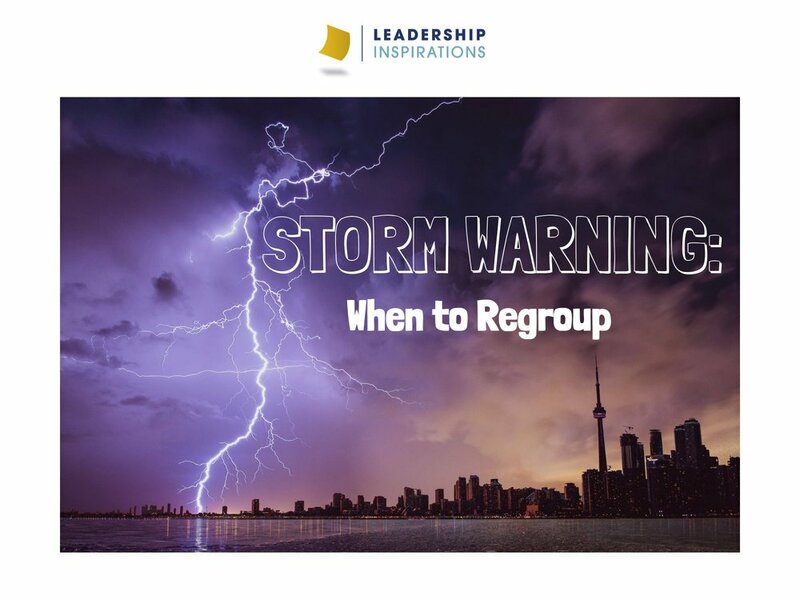 In Storming, group members really begin the process of working together, and as a result disagreements may occur or personalities may clash. These conflicts may arise for a number of reasons including things like misunderstanding of expectations, differing methodologies, or unclear goals. It might look like obvious conflict or it might be more subtle or even invisible resistance. 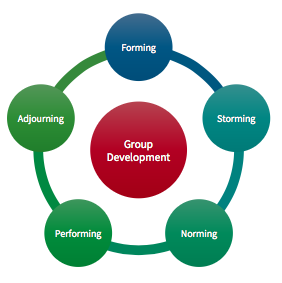 Storming is a tricky stage because it can actually occur anywhere in the group development model. Revisit your groundrules: Did your group establish groundrules when forming? Groundrules help us create a productive and safe work environment and team dynamic. These agreed upon “rules” could be anything from agreeing to bring the necessary materials to meetings or demonstrating respect for each other. If one of them was broken, try discussing so the group can move forward together by meeting that expectation. This isn’t a time to point fingers or make someone feel uncomfortable, because everyone makes mistakes! It could have been that the rule was unclear. If that is the case, take time to clarify the rules for everyone. Don’t have groundrules? Make some! : Consider using a mission statement as a guide to discuss why the individuals are a part of the group. Then, go into developing groundrules for everyone to follow that will help you to be successful together. This can be a great team building opportunity for your group. Clarify roles: Check in on roles and responsibilities. Does everyone have a clear understanding of what is expected of them? Some issues may be resolved by simply clarifying or updating these responsibilities for members of the group. Use this time to establish clear communication across all levels of your group or organization. Restructure: Are there not enough people assigned to a task? 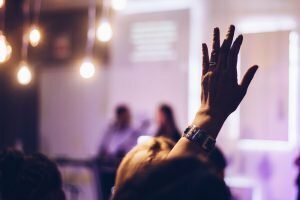 Are there too many people assigned to a project? Consider how you could restructure or rebalance your team to be more efficient or effective. Thoughtful changes made here can strengthen and stabilize your group so that they can get back on track. Seek feedback: Ask for feedback internally and externally. 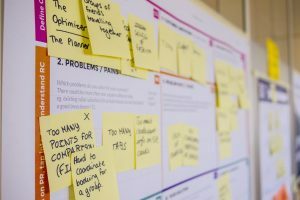 Sometimes asking for an outside perspective about an event or product could be helpful to integrate new and innovative changes. Other times, we need to go directly to our group and ask for their thoughts or concerns. Listen to the feedback you receive and use it to make improvements! Ask for help: If you really feel stuck, don’t be afraid to ask for help. This can feel tricky at times, but it may be the key to your success. Help can be sought out in many different directions. Consider going to an advisor, a manager, trusted peer, or someone who has held your position before. When there are so many things to get done in a year, it can be hard to find time to focus on our process. 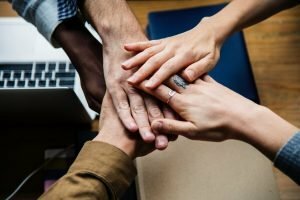 However, slowing down and dedicating the energy and effort to improving the way that we accomplish all of those things as a group can actually help us to avoid unnecessary conflicts or setbacks. This is a process in and of itself. We may need to check in and regroup more than once before we feel like we’ve figured out agreements and strategies that really work for our group. As I near the end of the school year with my group, I find that utilizing these tips and strategies helps to keep my group’s focus even though summer is right around the corner. Ultimately, these steps help us to get on the same page so that we can continue to move forward together. Check out our Facilitator Guide on the Benefits of a Regroup or Timeout for more strategies on how to approach the process of regrouping! *The article refers specifically to managing conflict in experiential or team building activities, but the identifying behaviors, strategies, and questions apply to any task, event, or project! 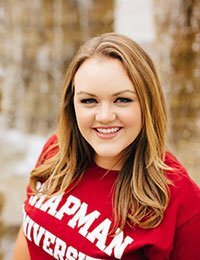 Quick Facts About Me: 1) My dream job would be an SNL cast member, 2) I love to plan parties and 3) I sing in my car like I’m performing a sold-out show.